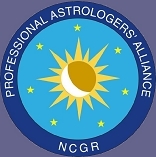 Thank you for your interest in Astrology Services. Please select one of the services below and e-mail the COMPLETE chart information. Complete data of both individuals is required. Exact time of incorporation and complete data of owner, or partners. Send data via e-mail to Jim Hays, C.A., NCGR-PAA at link to the left.